Defence Minister Zoran Djordjevic received today another group of Defence Attachés of the Republic of Serbia within the framework of regular consultations, analysis of work and expert and specialist training. 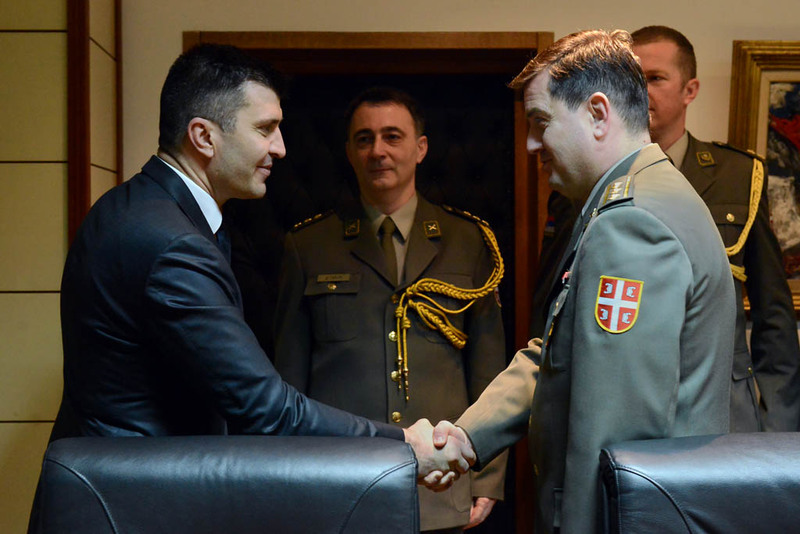 At the meeting, the work of the Offices of Defence Attachés of the Republic of Serbia in 2015 was analysed. Defence Attachés engaged in Abu Dhabi, Algeria, Athens, Vienna, Warsaw, Washington, Cairo, London, Beijing, Rome, Sarajevo and Sofia will be received also by the Serbian Armed Forces Chief of General Staff General Ljubisa Dikovic.